Rock Lobster tails from around the world. Now you can enjoy Australian Rock Lobster at home. You can even try Honduran Rock Lobster tails and enjoy the subtle differences in flavor of each region. The links below will take you to the seller's site in a new window with a full description of the Rock Lobster for sale. Better than Bouillon Concentrated Stocks are made with Roasted Chicken, Roasted Beef, Roasted Garlic or Seasoned Vegetables. This gives them a richer, more robust flavor than ordinary bouillons or soup bases. Our chicken tastes like chicken because it IS chicken; our beef tastes like beef because it IS beef. Better than Bouillon Concentrated Stocks are fat free and have 1/3 less salt than ordinary bouillons. 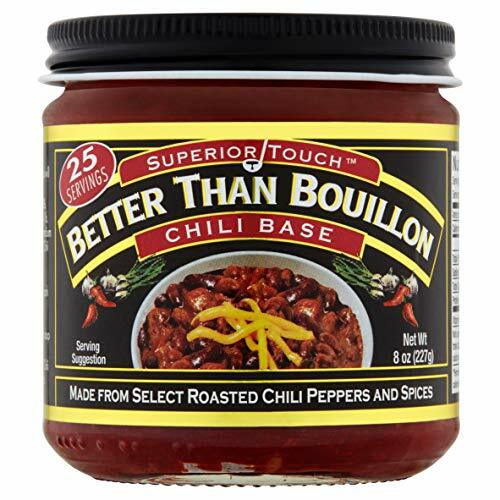 Better Than Bouillon Chili Base is made with select chilies and it will give your next pot of chili the perfect combination of taste, color, and aroma. Your friends will beg for the recipe.